Could 2012 Be the Year for AG Stocks? Since the recession of 2008, food inflation has sky-rocketed, scaring consumers. As the planets population has risen, the arable land available for planting hasn’t kept up. 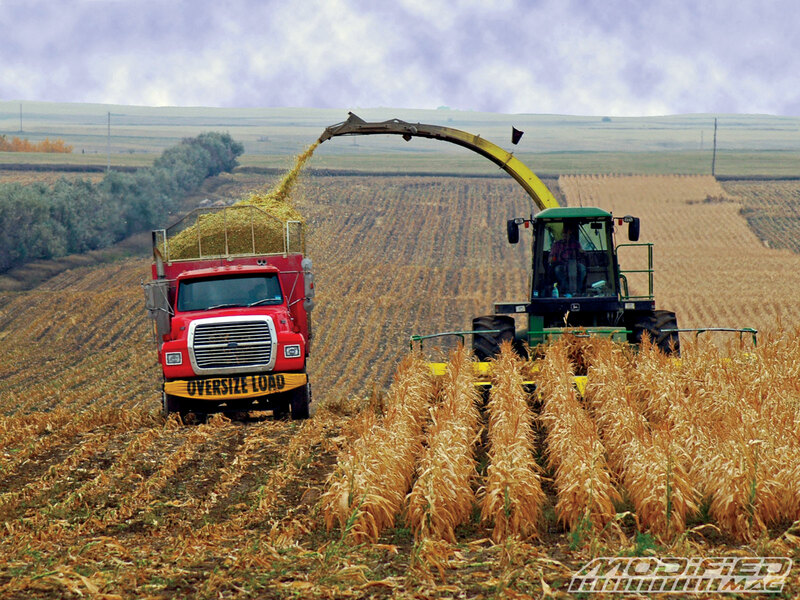 With new technology, AG products can be used in alternative fuels. With the growth in organics and more healthy lifestyles for “baby boomers” worldwide, profits are perking up. For general research on trends in the industry, take a look at http://www.agrifoodforum.com/. For 2012, some experts suggest AG stocks should have good growth and offer some defense for a more speculative industry portfolio. What are some small cap stocks that fall into the “AG” category and could benefit as food prices keep getting higher? Omaha, NE-based Lindsay Corp. (NYSE: LNN, http://www.lindsay.com) designs, manufactures, and sells irrigation systems that are primarily used in the agricultural industry to increase or stabilize crop production while conserving water, energy, and labor. LNN also manufactures and markets various infrastructure products. The company serves departments of transportation and roadway contractors, subcontractors, distributors, and dealers. The stock has a 52-week range of $46.03 -$ 73.75 and a market cap of about $841 million with a daily average trading volume of 140,000 shares. For the second quarter ending February 29, LNN beat analyst estimates on both revenue and earnings significantly. It closed May 3 at $64.90, down $1.26 on the day. West Fargo, ND-based Titan Machinery (Nasdaq: TITN, http://www.titanmachinery.com), a recent IPO which has doubled, owns and operates a network of full service agricultural and construction equipment stores in the United States and Europe. It engages in the sale of new and used equipment. The company sells agricultural and construction equipment manufactured under the CNH family of brands, as well as equipment from various other manufacturers. Recent quarterly revenues were up 67 percent to $132 million with earnings of $6 million. The stock currently trades about 425,000 shares a day and has a 52-week range of $15.58 – $36.92. Its market cap is near $730 million. It closed May 3 at $35.28, down 77 cents on the day. Newport Beach, CA-based American Vanguard (NYSE: AVD, http://www.american-vanguard.com) manufactures and formulates chemicals for crops, human, and animal health protection. Its chemical products include insecticides, fungicides, herbicides, molluscicides, growth regulators, and soil fumigants in liquid, powder, and granular forms. The stock’s 52-week trading range $8.92 – $25.34 with a market cap of about $700 million and volume of more than 280,000 shares traded daily. It closed May 3 at $25.28, down 75 cents on the day. Port Washington, NY-based Aceto Corp. (Nasdaq: ACET, http://www.aceto.com) sources, markets and distributes the following: Pharmaceutical intermediates and active ingredients, finished dosage form generics, nutraceutical products, agricultural protection products and specialty chemicals worldwide. The company operates in three segments: Health Sciences, Specialty Chemicals, and Agricultural Protection Products. ACET stock has a 52-week range of $4.51 – $9.99 and an average daily volume of more than 190,000 thousand shares. Its market cap is about $240 million. ACET closed May 3 at $8.90, down 17 cents on the day. A possible company for the more aggressive investor and further out on the natural pharmaceutical spectrum is tiny San Diego, CA-based Medical Marijuana (OTC: MJNA.PK, http://www.medicalmarijuanainc.com). MJNA which is a legal growth industry in California and 15 other states, provides various business management solutions to the hemp and medical marijuana industries in the United States. It also operates the Hemp Network, a network marketing platform that provides consumers with hemp products. MJNA offers tax and collection solutions to governments including revenue collection systems, turn-key management solutions, and marijuana testing and gradation. The company’s 4th quarter revenue increased in excess of 100 percent over the prior quarter to $430,000. MJNA’s 52-week range $.01 to $.19 with a market cap of $22 million and volume of near 3.6 million daily shares. It closed May 3 at $.038, up $0.0015 for the day. A recent Wall Street Journal article cites some eye-popping, though perhaps debatable, stats about the amount of water used to make common products. A cup of coffee takes roughly 35 gallons. A cotton T-shirt,700 gallons of water to produce. A hamburger? 630 gallons — more than three times the amount the average American uses every day for drinking, bathing, washing dishes and flushing toilets. http://online.wsj.com/article/SB123483638138996305.html. The article also cites a UN report that two-thirds of the world’s population is projected to face water scarcity by 2025 and a GAO report that 36 states anticipate shortages by 2013. Though there have always seemed to be dire predictions of water shortages, major industry players are now taking the threat seriously. Heavy water users have already begun to look into water offset projects (see our February 23 interview with Neil Eckert of Climate Exchange) and a new consortium had its first summit in Miami last month (http://www.water-footprint-usa.com/index.asp). The Pacific Institute suggests that corporations and investors should consider water accessibility as a key risk factor and notes that Coca Cola, which lost access to groundwater at its Indian bottling operations, now discloses water usage in its financial reports (http://www.pacinst.org/reports/business_water_climate/index.htm). Most public companies in the water industry are utilities, but here are some smallcaps that have technologies and skill-sets that merit a closer look for anyone interested in this space. Omaha-based Lindsay Corp. (NYSE:LNN, http://www.lindsaymanufacturing.com/) makes and sells automated irrigation systems to the agriculture industry and has a presence throughout the world. Its stock rode the commodity and ethanol bubble to $131 in May of 2008 and now trades at $23.70, a few dollars above its 52-week low. This might be a solid entry point for an established leader on the right side of a macroeconomic certainty – the need to feed more people more efficiently. Vancouver, WA-based Northwest Pipe Company (Nasdaq:NWPX, http://www.nwpipe.com) manufactures and markets large-diameter, high-pressure steel pipeline systems for use in water infrastructure applications, primarily related to drinking water systems. Last month, the company pulled in record net income of $32.3 million for 2008, compared to $20.8 million in 2007. Yet, at $23.17, it trades at just over a third of its 52-week peak. Should draw some attention, and the stock trades fairly well, at 170,000+ shares per day. Water, water everywhere but not a drop to drink? Energy Recovery of San Leandro, CA (Nasdaq:ERII, http://www.energyrecovery.com/), Inc. manufactures and markets seawater desalination products. The stock was downgraded by Dougherty and Company last week, but the stock is less than a year old and represents a rare pure play in a market dominated by GE. It is trading at $6.02, just less than half its high of $13.25, with a market cap of $302 million and trading volume of a hair under 200,000 shares a day. Tim Jones has been a noted speaker on the issue of water management for several years and his consulting firm, Innovaro, counts some of Europe’s largest companies as clients. The search for efficient and sustainable water usage can be expected to be a growing corporate concern. Innovaro is part of Tampa-based innovation consulting firm UTEK* (Amex:UTK, http://www.utekcorp.com/) whose tech transfer group could be tasked with the challenge of finding promising water technology licensing opportunities for corporate clients.